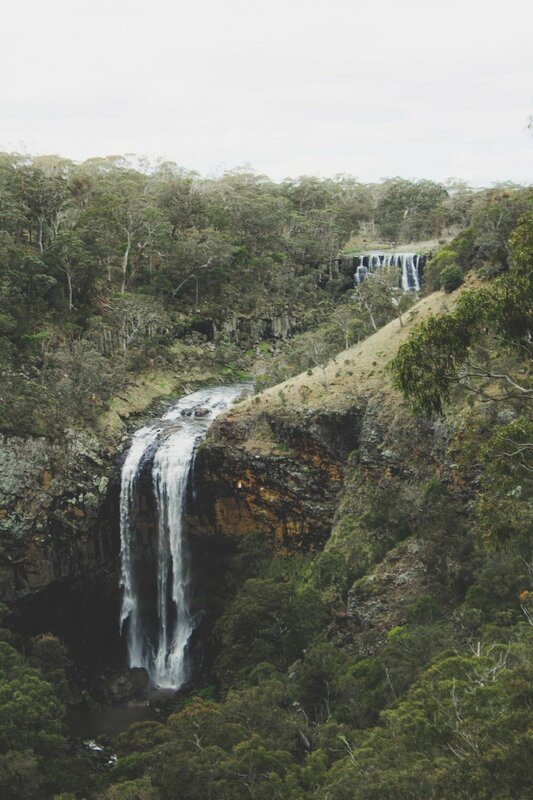 Driving down the aptly named Waterfall Way through Ebor, we turned off onto a small dirt road before arriving at opening revealing these two cascading waterfalls in the distance. We clambered over a fence and ran across the rocks to sit on top of the waterfall and watch the cascade crashing over the edge of the cliff. We decided that there would be away to get to the bottom of the waterfall and climbed down a series of rock races and descended a steep grassy hill before finding ourselves face to face with the upper cascade. From there we wandered down to look down over the shear drop of lower falls thundering into the valley.